It is interesting to observe how markdowns are managed in practice. Here is an example of two blog posts documenting the dynamics of the optimal markdown discovery. The first uses data from several retailers and argues that markdowns should be reduced or eliminated citing the negative impact of markdowns on revenue and recovery of the economy. The second presents the case of Macy’s for larger and more straightforward markdowns as opposed to the convoluted coupon discounts. So, are markdowns good or bad? Academic research on the topic had a similar evolution of ideas. Early stream of papers recommended that markdowns should be large, 50%, or sometimes even more. Then, researchers realized that deep markdowns pull consumers into the strategic waiting game, where consumers wait and gamble to get a product at a low price. The result of this realization was in justification of everyday low prices, or very small markdowns. The current state of the debate, including the results from one of my papers, is that some markdowns are good. In fact, there is a sweet spot for markdowns – they certainly should not be as large as 50% also not as small as 10% either. There is a benefit of offering a reasonable (~20%) markdown and bringing in the value-oriented shopper, while keeping those ready to buy at the full price buying. In that sense, Macy’s seems to be doing the right thing. It is a beginning of teaching semester and this blog inevitably gets more active. One article caught my attention recently. It is related to my research, and as one can probably guess from the title, it’s about retail pricing. Particularly, Walmart and its everyday-low-prices (EDLP) policy. It turns out that Walmart’s (at least online) everyday-low-price policy becomes “everyday-adjusted-price” policy. The article suggests that the reason for the Walmart’s pricing policy change is competition from Amazon.com. Citing the e-commerce data analytics firm 360pi, it reports that on 15% of the products, Walmart changed prices daily (very close to that percentage at Amazon.com). Furthermore, Walmart prices closely track those at Amazon.com generally staying within 5%. Competition with Amazon.com may be one of the reason, but to me it seems it is not the only nor the main one. Retailers are in the business of converting goods into revenue, and dynamic pricing simply generates more revenue. The revenue lift is of course conditional on the fact that consumers keep buying at regular (high prices) and not just patiently waiting for bargains. This is where understanding how consumers decide whether to wait or buy becomes important. Two recent research papers speak directly to this point. One, by my colleagues, shows that human behavior provides rationale for markdown or dynamic pricing over EDLP pricing. The other, by me and co-authors, shows that markdowns can be set even larger than the current methods prescribe, leading to substantial revenue gains. From that perspective, Walmart is doing exactly the right thing by adopting the dynamic price policy. 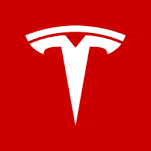 What can inventory numbers tell about Tesla? We talk a lot about importance of inventories in class, and here is another example, this time coming from Tesla Motors. Their sales are up, to everybody’s cheer, but inventory numbers paint a bit of a dimmer story. Their days of supply inventory is growing steadily which could indicate slowing demand for their cars. The story speaks volumes about importance of inventory numbers (to ops folks and investors alike), and their breakdown – while growing finished goods inventory maybe alarming of slower demand, growing raw materials may suggest that company is betting on future growth. In the Tesla’s case it seems to be the finished goods inventory. Happy New Year! My most popular post so far has been about Tesco bringing grocery shopping to Korean subway. Here is another example of retail innovation (hat tip – Benn Konsynski). Yihaodian a Chinese company using augmented reality to build a 3D virtual store. Their stores exist only on a smartphone screen, but otherwise it’s a fully immersive experience. Interestingly, customers still need to go to a store, augmented reality works only at specific locations. At first, it seemed odd – why limit consumer experience? Perhaps the company is betting on association with the trendiest locations. Another reason why Yihaodian is doing this might be studying how consumers move about the store and applying it for improving store layout. Given Yihaodian’s effective merger with Walmart, I would not be surprised if the virtual store browsing data is applied for traditional brick and mortar store design. Buffalo Trace and other bourbon makers try to carefully allocate their product to distributors around the country at what is, effectively, slightly below the market-clearing price. A result is headlines like “The Great Whiskey Shortage of 2013.” On the gray market, bottles of 23-year-old Pappy Van Winkle reach four-figure prices. But the bet the bourbon industry is making is that there is more money to be made in the long run by cultivating a new generation of bourbon drinkers among young adults, and by building loyalty among customers in all corners of the United States, and eventually the world. Clearly, the bourbon guys are concerned about keeping competitors off the market. Had the oil industry followed the same path, I suppose, the todays’ world would have been quite different. Many innovations have been sparked by the high oil prices: Teslas, Leafs, Solar Cities of the world. The “boom bust” cycle, which is not unlike the bullwhip effect, is generally bad for incumbent operations, but in some cases it also provides an opportunity for innovation. Who knows what the next hottest liquor will be? 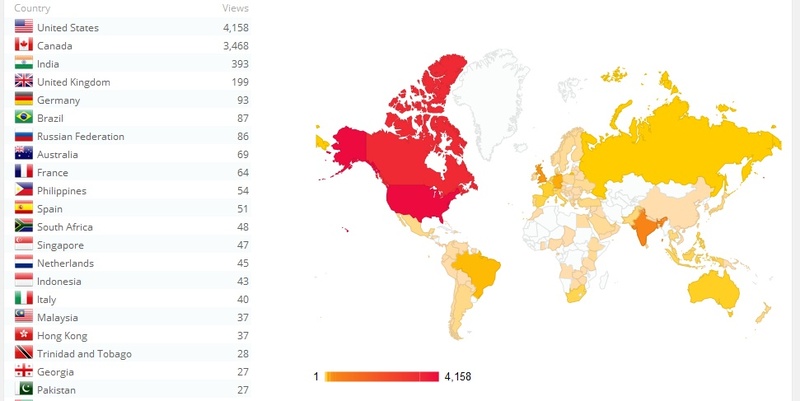 This blog has existed for over 2 years, yet until now it had a big lacuna on its visitors map: China. Yesterday it happened – first two Chinese visitors. Mind you, according to this article wordpress.com is out of the blocked list since October 2012. So what’s taken them so long? I see three possibilities – either WordPress is not popular in China, or it is excluded from search engine results, or traffic from China is rerouted through other locations. ]All have interesting implications for the WordPress business model, ad delivery, marketing, as well as VPN providers and their opportunities. It’s not a secret that WordPress makes money through placing ads into blogs. Knowing the location of a VPN user will deliver personalized, location based ads, and higher revenue. At any rate – this is how the map looks now. This is simply too good to pass by, especially with the Grand Prix coming this weekend. Task in question: change tyres on a race car. Time in question 1950 and 2013. The result: what took 67 seconds to change just 2 front tyres in 1950, takes less than 4 seconds now. Somewhat surprisingly, the way the wheel is attached to an axle has not actually changed. In both cases it is just a single center nut. What did change is the tools: it took several seconds just to get the nut off, mind you, with a hammer. Today pneumatic driver does it in a fraction of a second. Having more mechanics (20 vs 3) also helps. However, also apparent is a much greater focus of operations: everybody has a very specific task. Focus necessitates coordination, and the result speaks for itself. Bottlenecks at Boeing. Operations Clash with Finance? Reuters is bringing an interesting article (h/t Cameron Zuroff) about operational issues and financial pressures at Boeing (NYSE:BA). Boeing is struggling to cope with the 787 production schedule, after the production ramp up to 10 planes per month late last year. The bottleneck seems to be fuselage complex wiring done in their South Carolina plant. But the bigger picture is that Boeing has committed to deliver 10 planes per month and missing the schedule would involve steep penalties. What does Boeing do? They send half ready components to the factory at Everett for rework and final assembly. Boeing’s ability to churn out the Dreamliner is crucial to its financial performance this year as the company is relying on commercial jetliners to offset a weak defense business. While Boeing still loses money on each 787 that it builds, it gets closer to breaking even as production increases. 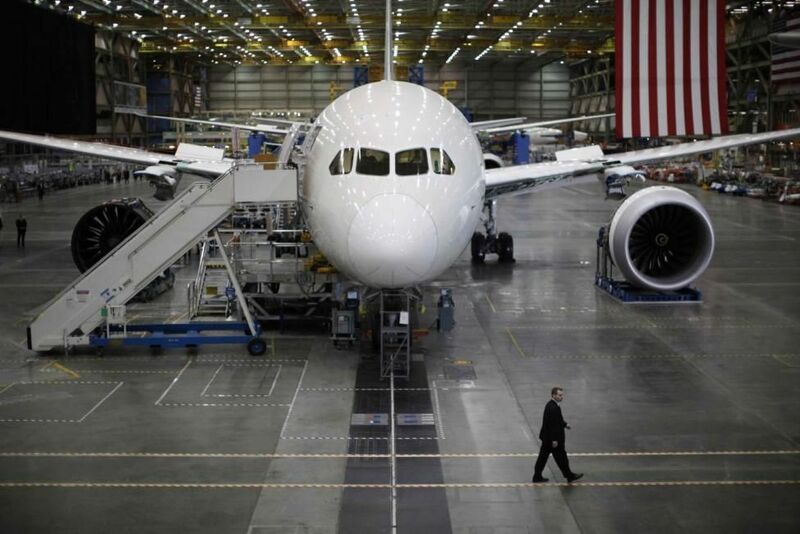 Cash flow from the 787 is expected to improve next year, provided the factories stay on pace, Boeing said. The cash is needed to fund new plane development, as well as fulfill investors’ desire for share buybacks and dividends. Clearly, Boeing is between a rock and a hard place. They try to ramp up capacity in South Carolina, hire temporary workers, but that leads to higher cost, further delaying the break even point. Sending “pre-routed” components to Everett, is also a questionable move. From the classical quality management standpoint, defects should be fixed immediately after they are detected. Unless there is an excess capacity at Everett that would allow to finish work quicker than it would have been done in South Carolina, sending half ready components would only delay the production. One thing is evident. Learning curve for the new 787 production turned out to be steeper than originally thought. All the pressure is now on Boeing to catch up with it. Is Amazon.com cashing on consumer behavior? I am very much tempted to answer – YES. The genesis of this post is the recent report by NPR’s Stacey Vanek Smith; the case under consideration is Amazon.com potentially raising the cost of its Prime membership from $79 to $99 per year or more. Prime membership gives consumers free shipping on their orders and free access to numerous books, movies, and TV shows. The volume of Prime subscribers is estimated to be well over 10 million and growing rapidly. Could it be that Amazon.com has decided to curtail the growth of membership? This could be sensible if Amazon has reached capacity limitation for shipping or content streaming. Neither seems likely, though. So what is the logic behind the (possible) decision? But the rationale for raising prices, may not be fast cash, speculates Michael Levin, co-founder of Consumer Intelligence Research Partners in Chicago. A more expensive Prime membership equals a customer who is all the more motivated to get his or her free-shipping’s worth. Having done some research on the topic of consumer behavior, my explanation for this phenomenon is the so called Sunk Cost effect. This is a well-known phenomenon in Behavioral Economics. In simple terms, the effect occurs when consumers continue to use products that have become obsolete. Moreover, the usage increases if consumers spent more money to purchase these products. As such, this behavior is irrational in the classical economic rationality sense: a decision to use a product should depend only on the current or future cost and benefit, but not on a past one. So by raising prices of the Prime membership, Amazon.com could be just targeting our irrational tendency to recover sunk costs. Even if there is an identical product couple of dollars cheaper, Prime members would still buy from Amazon, driven by the (sunk) cost of membership. 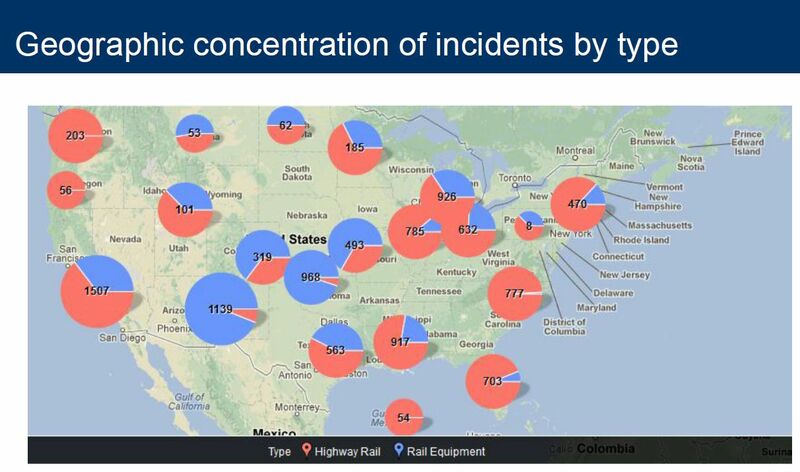 How do you make Amtrak safer? Tomorrow (actually, already today) marks the first class of this Spring semester BUS 351 at Emory Goizueta Business School. But before we take off for a new exciting semester, I would like to comment on some great work done by students in the last year’s cohort. The accolade goes to GBS students Gobie Kumarasmy, Jamie Landman, Shannon Lin, Jeff Meng, and Aaron Weiner for their project on the safety of Amtrak. Basically, they asked the question which is in the title – how would you make Amtrak safer? Amtrak is the largest publicly funded US passenger rail operator, so the debate about spending there is rather intense. 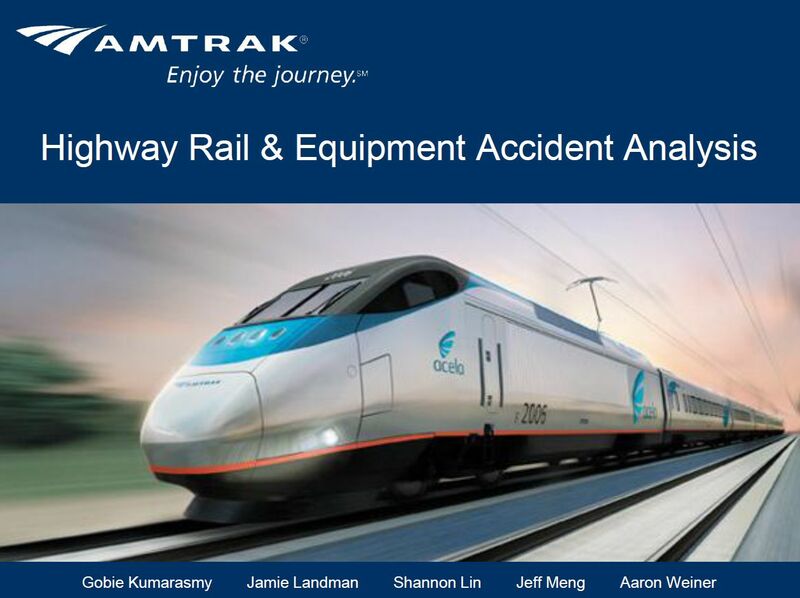 First, let us understand how many accidents happened with Amtrak trains over almost 40 years, from 1973 to 2012. Accidents can be of two types: those involving rail equipment (for example, locomotive breakdowns), and those involving crossings with highways (for example, car crashes into a train). Results are reproduced with the authors’ permission. You can see that highway accidents are mainly confined to the coastal areas, as expected. Somewhat surprisingly, southwestern states have a lot of equipment accidents. So what drives the accident rate? For the highway-rail accidents the key drivers are weather and the presence of lights at the crossing, whereas visibility and presence of the warning signs are not. We cannot do much about weather, but it seems that lighting more of rail-highway crossings can help. 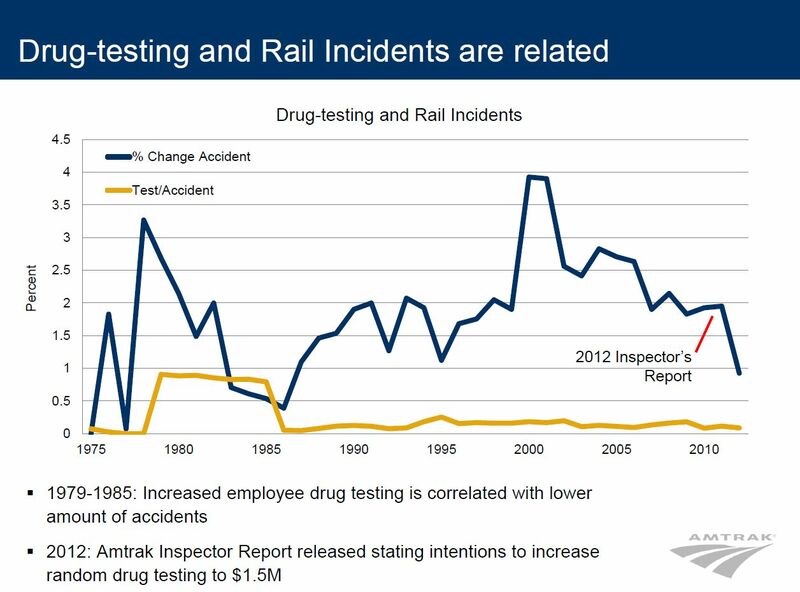 Accident rate seems to decrease when more drug testing is done, but what is really interesting that simply bringing attention to this problem (2012 inspector’s report) has roughly equivalent effect. All this data gives food for thought about importance of work culture for successful operations. Sometimes one needs to look beyond obvious solutions (such as invest in new locomotives), to improve the situation. This can be cheaper and more effective.